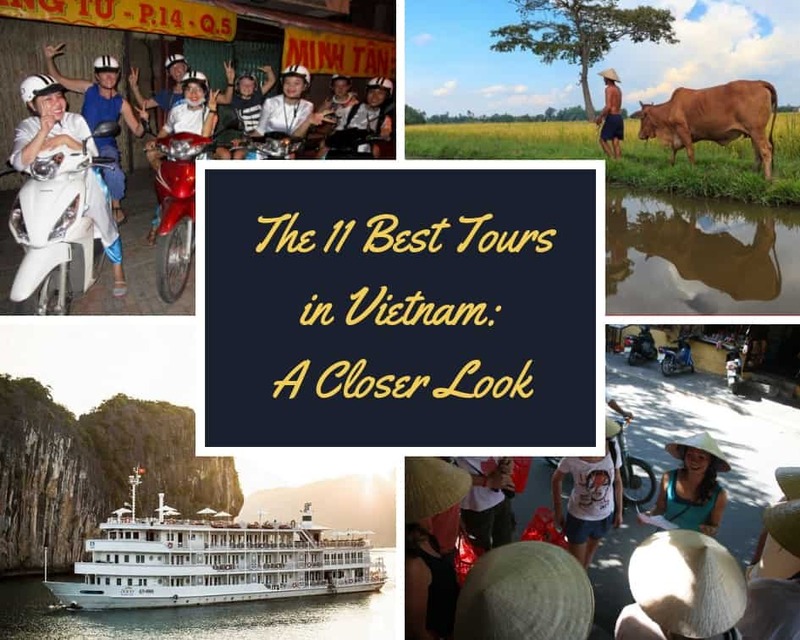 In this blog post, we’ve done the legwork to round up the best tours in Vietnam, offered by some of the most reputable tour operators in Vietnam. The tours we have selected are not restricted to one part of Vietnam; because we wanted to bring readers the best Vietnam tours possible, we looked at candidates from the north to the south of the country, and all that is in between. Please note that we are offering our honest opinions on what we feel are some of the best and most unique tours in Vietnam on this list. With the exception of “Dinner with the Nguyens” and “The XO Foodie Tour,” two tours of which we at XO Tours are exceptionally proud, we have no vested interest in any of the Vietnam tour companies listed below and did not consult them when writing this blog post. Nearly 40% of Vietnamese people share the surname “Nguyễn,” you will notice when you visit Vietnam. Because of this fact, the name of the “Dinner with the Nguyens” tour is in reference to the local Vietnamese people you will be dining amongst on this tour, many of whom will undoubtedly be named “Nguyễn”; it is not in reference to a specific family. 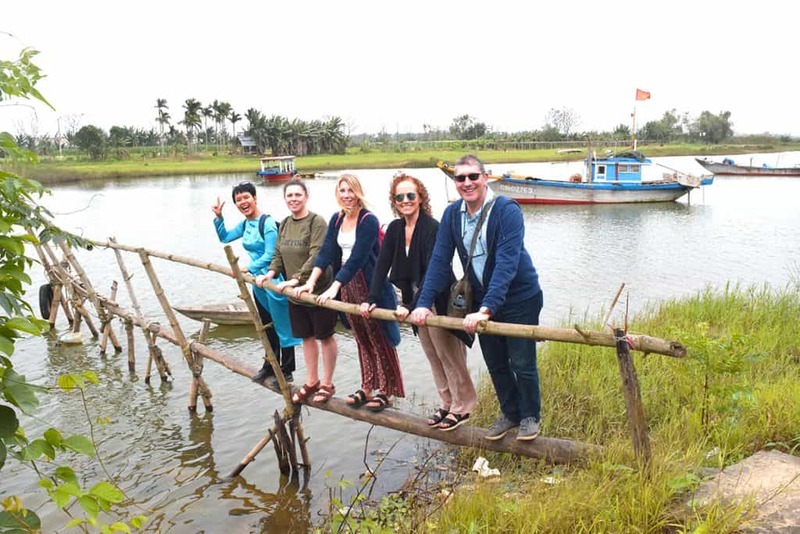 The tour takes visitors to a sub-suburban island on the Thu Bon River Delta near Hoi An that was accessible only by boat until about two years ago and is consequently very remote. Because the location is so rural, the foods to which guests are treated here will be of a more authentic, down-home nature than what you would encounter on 99% of Vietnam’s walking food tours. For example, you will get to try dishes like fish cakes and grilled soft shell crab instead of the generic banh mi, pho, and other street foods to which most Vietnam walking food tours take their customers. The local flavor goes down easy, as an unlimited flow of Vietnamese-made beers and soft drinks is provided at every stop of the tour. There is even a cooking class at a local family’s house in which visitors will be taught the traditional Vietnamese preparation of banh xeo, a Vietnamese “pancake” made using rice flour, fresh shrimp courtesy of the town’s fishermen, and locally grown vegetables. Does a cooking class really belong in an article about Vietnam’s best tours? In the case of Green Bamboo, it does indeed. 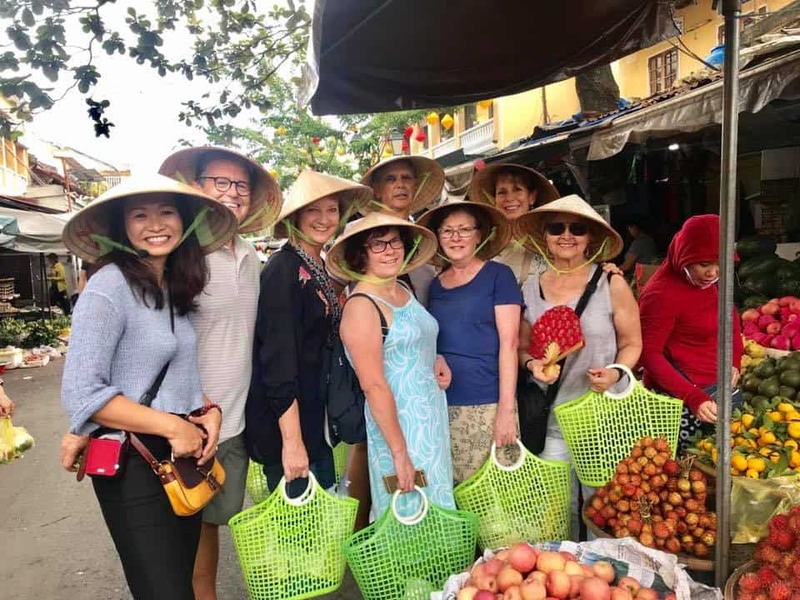 This is because a portion of this tour is devoted to taking guests around Hoi An’s central market to shop for food needed in the dishes to come. Reviewers note how informative the “market tour” leg of the class is for learning how local Vietnamese “wet markets” work. Customers will also get a personalized grocery shopping experience, as each individual gets to choose a recipe they think looks especially good from a huge list of over 60 dishes the guide provides. Once all the ingredients are bought and the tour group gets to know each other at a local cafe, they return to the cooking school’s kitchen. There, the instructor helps each of the tour members prep the ingredients they bought. Each member then cooks the dish they chose, while the instructor provides instructions and all the other members observe the cooking process. Finally, everyone gets to sample all the dishes; a bit of the one they made and some of each of the others. You’ll get to taste a wide range of home-cooked Vietnamese dishes, and you’ll walk away stuffed, making this tour/class maybe the best value for money of anything on this list. In fact, one of the few slightly negative reviews of Green Bamboo on Tripadvisor complained only that the tour was too long (8:00-15:30) and that there was simply too much food! Vietnam Bike Tours may not have the most creative company name, but don’t let that fool you: these tours are the best way to see and experience every little thing the country has to offer. The company offers a huge variety of tour options, ranging from very short (40 minutes from Saigon’s Tan Son Nhat airport to your hotel) to very long and intense (19 days from Saigon to Phnom Penh to Bangkok). This variety allows you to customize your tour according to your party’s schedule and cycling ability. Whichever tour you choose, though, the folks at Vietnam Bike Tours will have selected a route that allows you to take in as much of the area as possible. As a reviewer writes on Tripadvisor, “this tour is not about cycling from A to B or munching the miles, this is about using the bikes to see and experience parts of the country that you wouldn’t otherwise see.” The routes also pass by a good amount of rest stops, and a relief van will follow just behind the cyclists just in case anyone wants to dismount and rest for awhile even between stops. These tours are not cheap, but you get what you pay for — the folks behind Vietnam Bike Tours are pros. The guides are courteous, hospitable, resourceful, and well versed in the local landscape and culture. The people organizing the tours have them planned down to the detail, even tailoring individual trip routes based on requests from the customers. And the eating establishments or homestays stopped at on the tours are always top-notch and hassle-free. As long as you’re ready to sweat a little (who are we kidding, a lot), this is the way to most fully experience the Vietnamese cultural landscape. It’s a good idea to stock up on sunscreen beforehand. 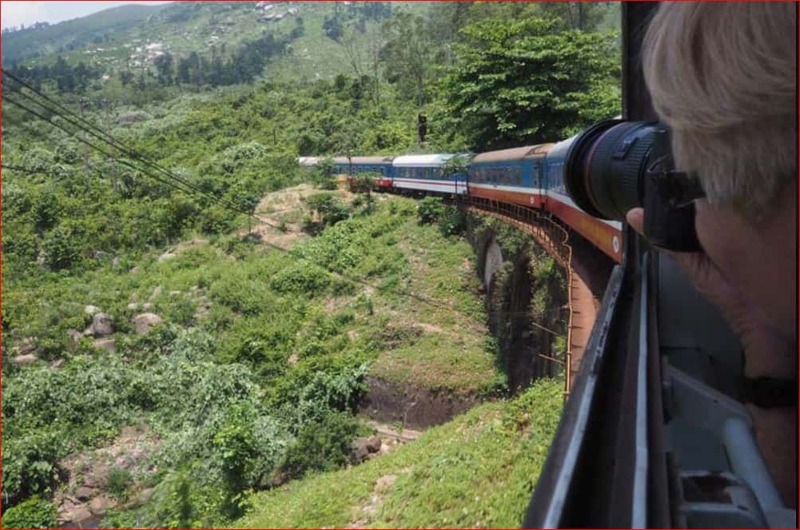 Vietnam in Focus is a fantastic way to see some of the more beautiful sights in Northern Vietnam while documenting them and honing a valuable skill at the same time. The guides for the tours are generally very knowledgeable about precisely what areas offer the best artistic photograph opportunities and what part of the day to visit them to get the best photographs possible. Note that you do not need to be a photography master, or even very familiar with the art form, to participate on these tours. The guides are just as much photography teachers as anything else, and they are used to dealing with all skill levels. Also, know that the tours rent DSLR cameras for $30/day. If you want to get your photography on but you can’t make a trip to Hanoi, read up on our picks for Best Photo Spots in Saigon or in Hoi An. The name of this tour is a little misleading, as “Hanoi Kids” invokes images of tours by young children and/or for young children. The tours are completely family-friendly, but they can be appreciated by all ages equally — in fact, adults may appreciate the tours even more because of the in-depth commentary the tour guides provide. And those guides are adults, mainly university students engaging in some practical training for the tourism and hospitality business. Just because the guides are often training for a paid job, though, does not mean they phone in their tours. 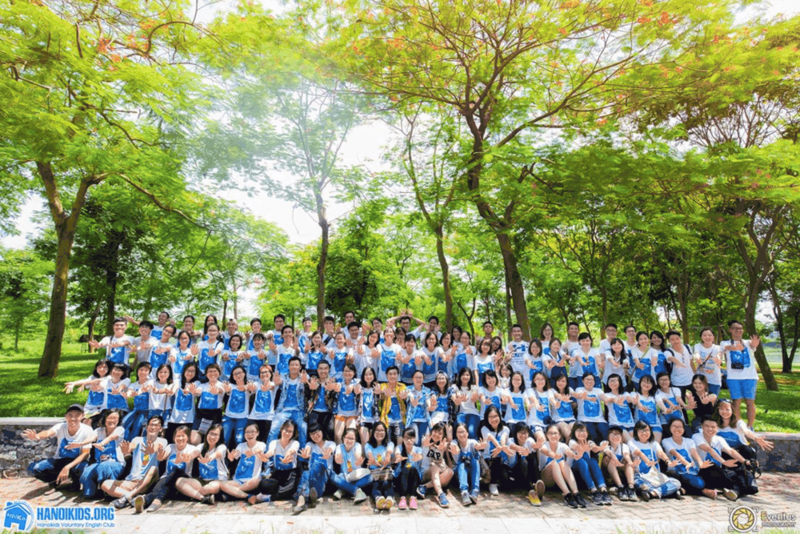 On the contrary; reviews of the Hanoi Kids tours are unanimously in agreement that the guides are passionate and knowledgeable, as well as being great with English. They are also very flexible, and they are happy to take requests of any Hanoi tourist hotspots to which the customers want to go on the tour, even if it means completely arranging the day’s itinerary. As those who have experienced it will tell you, patrons of Sophie’s Art Tour learn about more than just paintings. The guides are interested in looking behind the art itself at the Vietnamese history and culture that informed the artist’s decisions. This causes most people to walk away happy with how much they learned about Vietnam as a whole instead of just its paintings. Sophie’s tours are available in both Ho Chi Minh City and Hanoi. 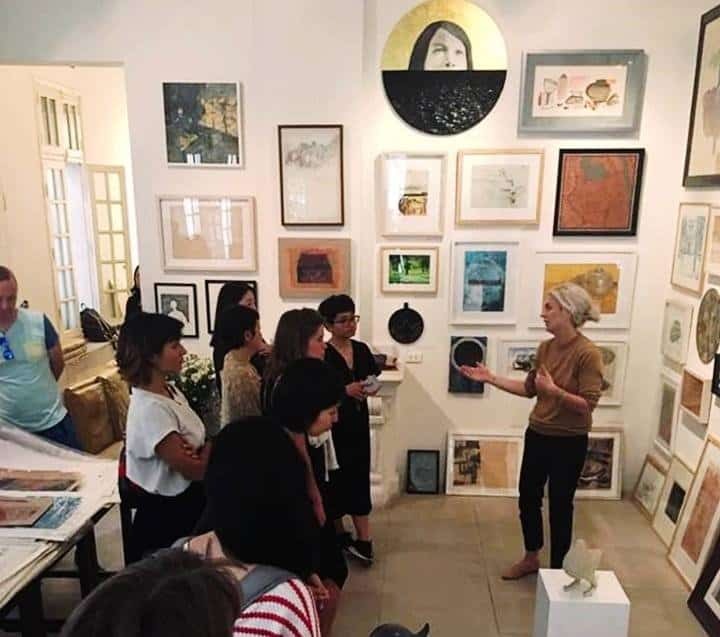 The two tours are different, but they both focus on historical and contemporary Vietnamese art, and they are both led by American expats who are extremely passionate about Vietnam’s artistic history. Au Co is a step above in service and luxury in comparison to the other operators in the incomparable Halong Bay. You will see a marked difference in the aesthetics of the boat, the quality of the food preparation and the sizes of the rooms. The price is a bit more than it is with other Halong Bay tours, but the value for money here really is remarkable. Although reviewers agree the Au Co experience really is once-in-a-lifetime, they also note that this tour is very methodical and has a typical “tour” structure. 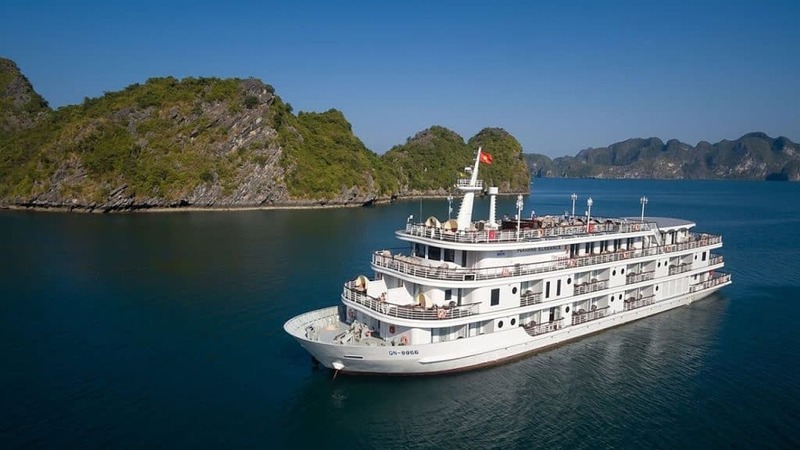 That is, customers are told when to go to the dining hall for meals, when to disembark the boat to explore one of the amazing caverns that pepper Halong Bay, told when to retreat to their rooms for lights out, etc. Basically, this is not one of those free-form, flexible schedule tours, which could be seen as either a good thing or a bad thing. Price: $87-202/person for a private tour; though the price drops steeply the larger your group is. 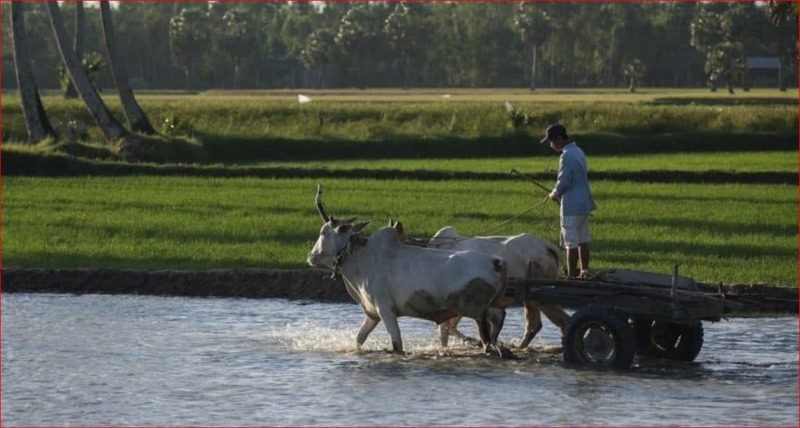 The name of this tour is extremely accurate; as the tour’s website notes, the full-day journey around Vietnam’s lush Mekong River Delta is “uniquely people-focused.” In other words, Mekong Life Unscripted is not another generic Mekong tour that takes you to the same touristy islands in My Tho/Ben Tre that 99% of the other Mekong Delta tours visit. Instead, it will give you an honest window into the day-to-day lives of modern River Delta residents. You will see how they live, learn about their livelihoods, and even eat the same traditional foods. 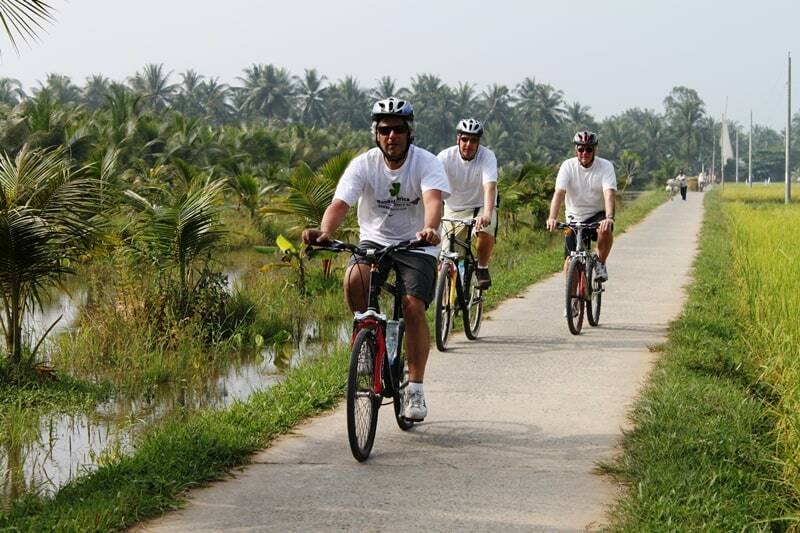 Note that the price for this tour is higher than with most Mekong Delta tours because it is private. That is, if just one person purchases the tour for themselves, they will be traveling alone with their own personal guide. If a group of five books together, they will be the only five on the tour. To add to the privacy offered by these tours, they follow completely original routes. You are virtually guaranteed not to see any other tourists the whole time. As the name of this tour company suggests, Phat Tire Ventures started off giving mountain bike tours. They still offer offroad biking and a variety of other extreme outdoors activities (rock climbing, whitewater rafting, etc. ), but their full-day canyoning tour has become their flagship. 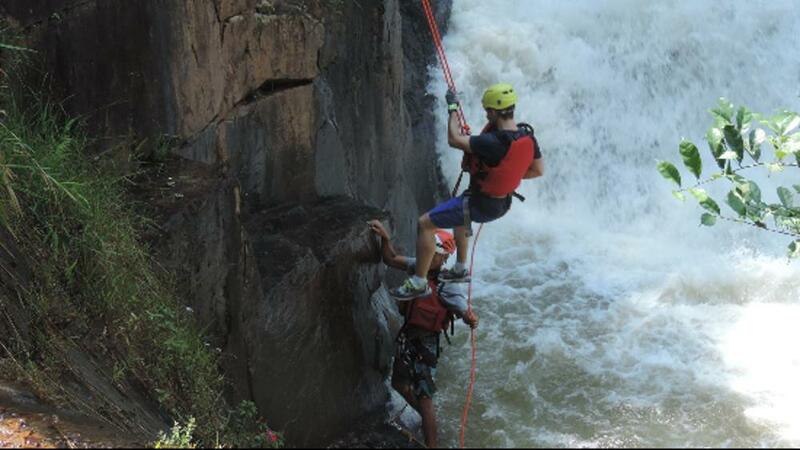 The reason the canyoning expedition is so popular is that it is totally full-featured. Several other Dalat-based companies offer canyoning packages, and most of them cost slightly less, but none of the other English-language options are as thorough or as extensive as Phat Tire. For example, Phat Tire’s site points out, their canyoning trips take their customers to two rappelling courses almost no other tours do, the Tyrolean Traverse and the creatively named Big Waterfall. According to reviews, Phat Tire is also a step ahead of its competition in terms of establishing and enforcing safety procedures. Ho Chi Minh City’s street food scene is simply magnificent, and the aptly named “Foodie” tour is probably the best way for those who visit Vietnam to get an overview of it while accompanied by professional and knowledgeable locals. This scooter tour will take you through 5 districts in Saigon, each with their own distinct personality and culinary specialties. Customers will sample foods — like the highly rated grilled goat’s breast in District 8, and the scallops with peanuts and scallions in District 4 — not touched upon by most Vietnam street food tours. Perhaps this tour’s greatest strength is that it is more than just a food tour. 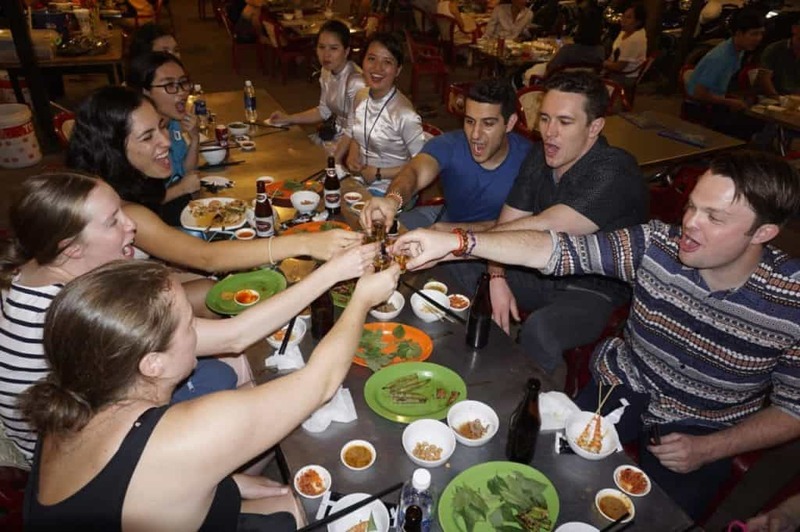 Customers will indeed get to try between 10 to 12 authentically prepared entrees at stalls all around the city, but they will also get to see much of Saigon’s urban sprawl and will be given a lot of info on Vietnamese culture. The tour is about four and a half hours long, and you can expect actual mealtime to take up about 2 hours. The other 50% of the time will be spent seeing the lesser-known sights of Saigon from the back of a motorbike driven by one of the aó dài-clad female tour guides, who many reviewers note are very safe drivers. In short, the Foodie tour is a well-tuned full package overview of the city’s culinary nightlife scene. This tour is only offered via scooter, so if you are nervous about riding in Vietnam traffic on a scooter, there is no other transport option. This gastronomic extravaganza will almost certainly inspire you to go out on your own Saigon street food hunt. Just remember to stay safe and hygienic by keeping in mind our tips on avoiding sickness in Vietnam. The war-era Cu Chi Tunnels are one of those iconic places those who visit Vietnam are almost obligated to visit, and is difficult for any tour company to offer a bad tour of the tunnels themselves; the place is a fascinating combination of history, brutality, rustic charm, and the beauty of Vietnam. 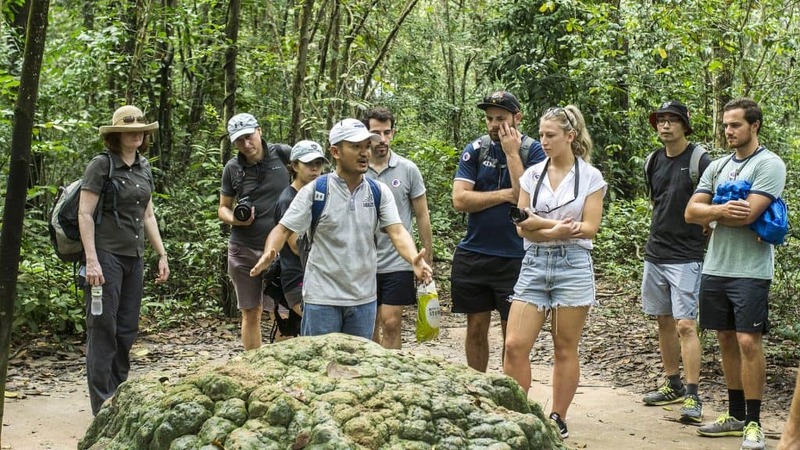 What sets Les Rives apart from the competition, however, is that they turn the normally boring journey to and from the Cu Chi tunnels into an adventure. Whereas tourists going to the tunnels on other tours get packed into a big bus with 40-50 other tourists for a boring two hours without any commentary from a guide, Les Rives ensures the experience is considerably better by ferrying guests from Ho Chi Minh City to Cu Chi on a speedboat. A well-trained guide accompanying tour members on the boat provides fascinating information about the surrounding people and ecosystem, and the daily life of locals living in communities along the Saigon river can be viewed from the boat. The trip from Ho Chi Minh City to the tunnels is quick (75 minutes each way) and does not have many stops. This can be viewed as a good thing, for those that came mainly to see the tunnels, or a bad thing, for those that would like to see more of the area’s nature. We hope that this list of the best Vietnam tours helps make your time in Vietnam more memorable! Dustin Kemp is a culture addict who has been living in Saigon since 2014. . He’s made his way up and down Vietnam and around Asia, but Ho Chi Minh and Can Tho (the capital of the Mekong Delta) are the two cities that call to him the most. In specific, he has a penchant for off-the-beaten-track adventures and learning more about authentic Vietnamese lives. Foodies tour HCMC awesome the girls were great the food was awesome and would definetly do this again. highly recommended. Awww shucks! 🙂 Thank you for your support Serena! I know you’ve already got a cycle tour on your list but we did a 4 day cycle tour from Hue to Hoi An with Pathbiker Tours and it was absolutely amazing! We were so well looked after, the scenery was spectacular, great food, awesome guide, and the driver totally looked after me when I was too tired to ride and opted to drive in the van with him. Would thoroughly recommend them. Thanks for the recommendation Leone! We will definitely consider adding Pathbiker Tours to our list. We are a couple travelling to Vietnam between 20 MAY – 4 JUNE, 2018.
some islands (such as Cat Ba, Monkey island). enjoying all the beautiful landscape. We are very happy that you are finding helpful information from reading our blog! I hope that anyway what you are looking for and note that we are not affiliated with them. We are planning to visit ho chi minh in end Nov this year for 5 days with young kids and elderly, total 7 pax. 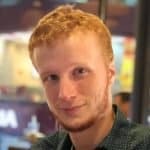 Which places of interest would you recommend ? Usually how much to hire a private car or van to go around? Thank you. We went on a Phat tire adventure and had a totally awesome time. I would highly recommend it to others. Will check out your tour next time I’m back in Vietnam!